It's FREE now!! kidsbestipadapps.com rated this app 4/5 and said "For the preschooler who likes a variety of simple, fun activities, “Preschool: 15 in 1 Kids Pack” is an app that will keep them busy and make them happy. The activities include drawing, writing letters and numbers, identifying animals and playing games like matching and hangman, and all are done using colorful graphics and animation." 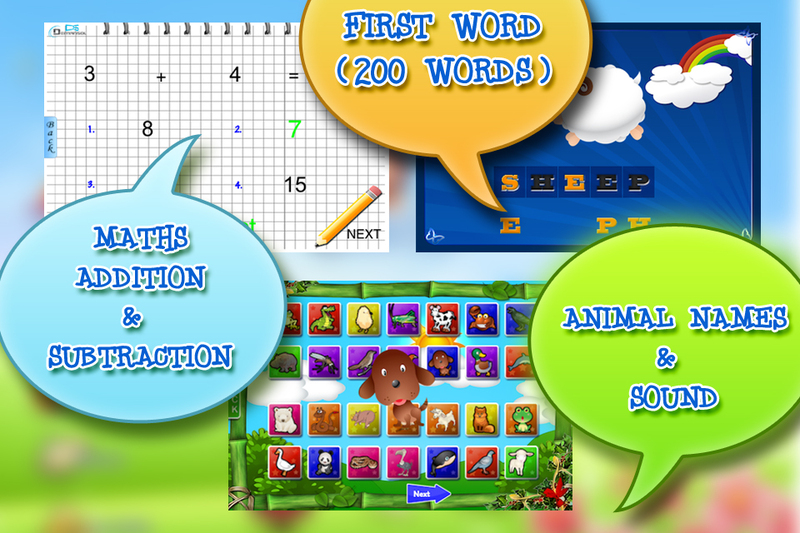 - Dozens of sounds and voice recordings of animals, letters, numbers, colors, and more. - 100 words to learn and play using them. - Alphabets and numbers sound identification. 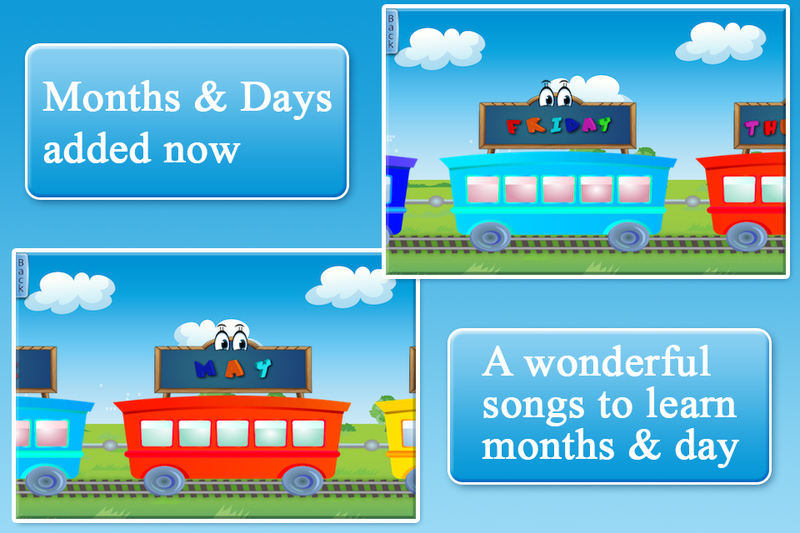 - Two games to play: Memory match and Hangman. - Learn to draw freely. - Learn Alphabets: A to Z with the 3 words for each alphabet having voice. 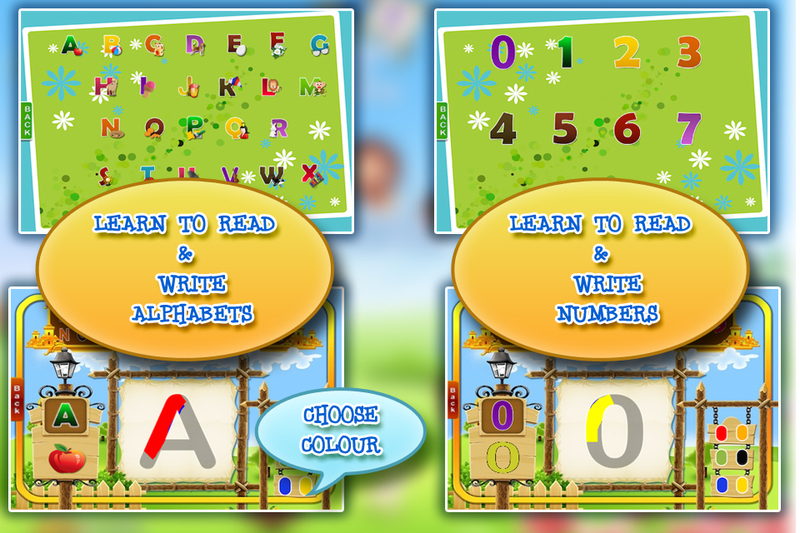 - Learn to write alphabets and number with choice for color, voice for alphabets and the word for each. 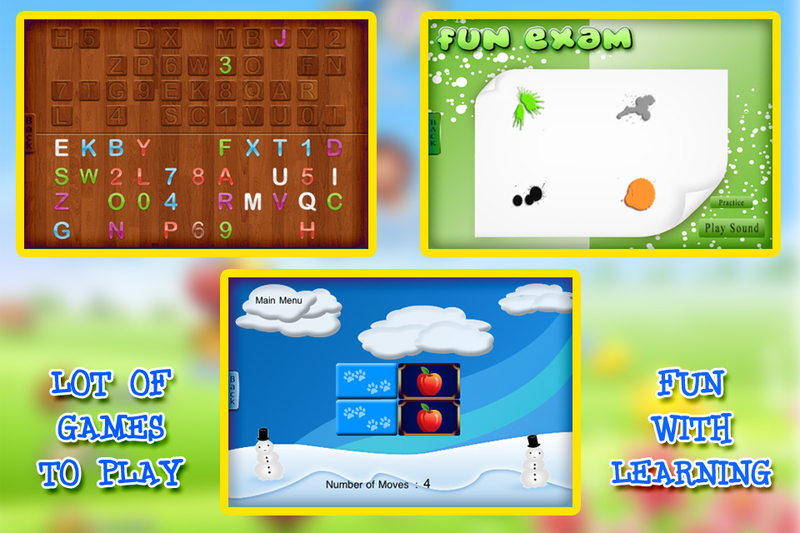 -Drag and match all jumbled alphabets and numbers, learn to recognize and spell each while you drag and play with it. - FIRST WORDS: More than 100 words now. Look at the picture and try to name by dragging the letters into their specific place. Learn to identify and match letters to make words. - MATHS. This is toughest exam for your kids. Manage to solve the quiz based on addition, subtraction, division and multiplication. Get your kids score card at the end of the exam. - SKETCH BOOK: Every kids delight is to draw or sketch. 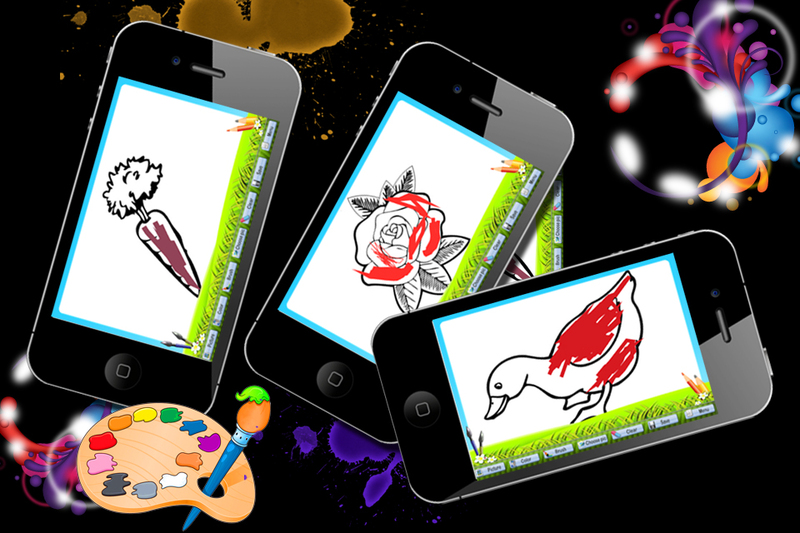 Choose out of variety of brush sizes to draw, six fun images to color it, Select any image from the photos library to paint, Save the photos which your kids make in your photo library. Please feel free to contact us with any questions/feedback and we will be happy to help you. Advice us to make this application better and we promise that we will keep updating it according to your feedback. We will try to implement each and every feedback provided by you.